In this current animation landscape, CG animation has proven to be by far the most accessible and profitable option for children and families, creating an automatic uphill battle for animation of any other style. Stop-motion has shown to be especially disadvantaged in this market, given its much more niche and narrow appeal. Laika and Aardman (of Wallace & Gromit / Shaun The Sheep fame) are the two most commercially well-known stop-motion animation studios creating inventive family films, and while they manage to stay afloat, they never become the breakout box office smashes that they deserve to be. Aardman’s newest release Early Man is in a particularly unfortunate position, having to share its U.S. opening weekend with Black Panther, effectively guaranteeing that it gets lost in the shuffle among the release of one of the highest grossing weekend openers of all time. A fate that it in no way deserves, because it’s one of the funniest, most charming animated films in quite a while. Early Man is the story of Dug (Eddie Redmayne) a young caveman whose tribe’s valley is invaded by Bronze Age soldiers, who will only give them their land back if they can win a game of football (or soccer for us filthy Americans) against their best team. Along the way, they enlist the help of Goona (Maisie Williams) a young Bronze Age woman who dreams of being a football player, to whip their team of clumsy neanderthals into shape for the big game. From here on out, it follows a fairly standard sports movie formula where a team of incompetent underdogs has to learn to work together as a team to stand a chance against the stronger and more experienced team. The basic story is the weakest element of this film, and it only really exists as a method of delivering loads of clever visual gags and charming character interactions. While it is somewhat disappointing that a premise as unique as the Stone Age vs. the Bronze Age is turned into something so conventional, the premise of watching cavemen try to learn how to play football creates some genuine laughs. The effectiveness of such humor is a highlight that becomes even funnier thanks to strong execution. Early Man has some of the funniest and most creative uses of slapstick humor that has been seen in animated films recently. Even jokes that could seem as simple and played out as someone falling down or getting hit in the crotch are carried out with enough build up and surprise that it makes these normally cheap gags work. There’s also a lot of cute visual humor involving the animal characters who don’t speak, including a rabbit and Dug’s pig sidekick Hognob who succeed at being cute funny animal sidekicks without ever overstaying their welcome or veering anywhere close to Minions territory. There’s a duck who gets introduced halfway through the film, who is responsible for some of the absolute funniest moments in the entire film. Like many Aardman films, there can occasionally be some definitively British humor that will undoubtedly go over many Americans’ heads, especially children, but that doesn’t take away from the cleverness of its writing. Animation, an industry largely dominated by men, has recently seemed to attempt to take steps towards creating stories that give more prominent roles to female characters for young girls to look up to, and question the gender dynamics that we would normally see in children’s entertainment. These types of stories are important for children, especially young girls, to be exposed to, and films like Moana and Frozen have shown to be massively successful and positive representations of women. Even a film like Cars 3, whose audience is more than likely to comprise of young boys, manages to create a story that challenges the gender norms that exist in the world of sports in ways that you wouldn’t expect, and Early Man surprisingly does the same. The character of Goona loves football, practices on the field every night, and hopes to one day be able to play in a game, despite traditional gender norms that would not allow her to. She exhibits capability and competence more so than any other character in the film, is given her moments to shine, and the film delivers its message in a natural and unintrusive manner that makes it feel earned. 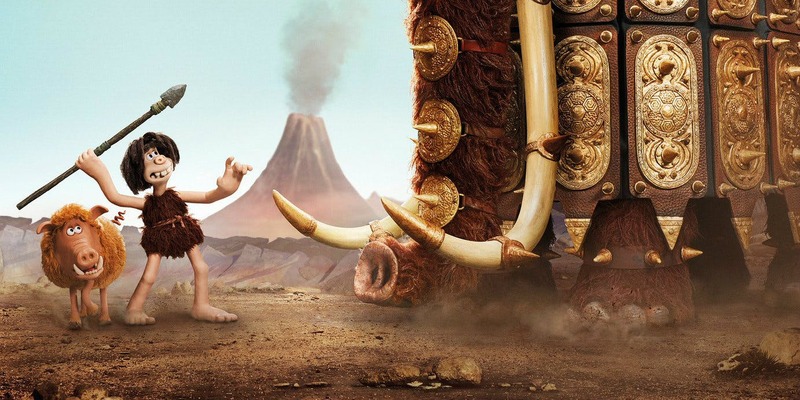 The most disappointing thing about Early Man is the fact that it will be completely buried and forgotten about for reasons completely outside of the movie’s control. Hopefully, over the course of this year, and possibly even around the time next year’s Oscar nominations for Best Animated Feature are announced, it will be able to slowly but surely gain an audience that it will fail to reach during its theatrical run.